People used to be so barbaric in their chosen forms of entertainment. There was a time when people would actually gather around the town gallows and watch others be hung to death for the sheer amusement. I want to keep my posts fairly light-hearted in nature so I’m going to just ignore the fact that there are still places around the world that do this. Like most Americans I choose ignorance. Makes me feel less guilty when I’m bitching about traffic jams or how crowded it is at the mall. 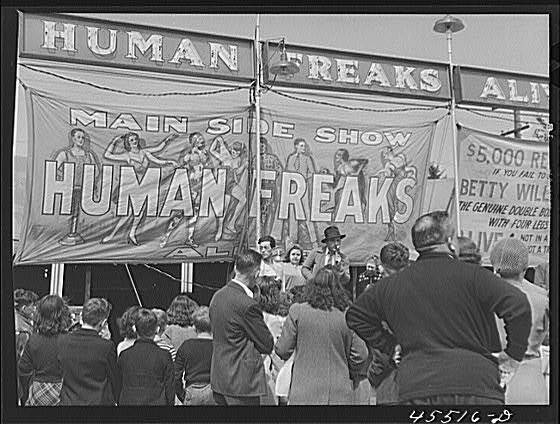 Another entertainment pastime that was less morbid – but 100% politically incorrect – was the good old-fashioned freak show. Can you believe that people used to actually pay to stand and gawk at individuals with physical and mental disorders? As I’ve previously confessed, I love reality television. And I must admit that most of the reality shows I like are the kinds that make me feel better about myself through the art of judging. My love of judging probably comes as a shock to those of you who know me. The secret lives we lead, right? I personally don’t choose to watch shows like the aforementioned Jersey Shore. I want my reality television to trick me into thinking I’m watching a documentary. Makes me feel all classy-like. Everyone has their own reality show sleaze-threshold. Mine cuts off right around any show involving a half ton man. I eat those types of shows up, so to speak, but I feel bad in the process. If I were more thorough this is where I would insert some sort of information about the psychological principle behind all this. But I think you’re just as capable of using Google as I am. So what is the point that this snarky self-helper is trying to make? We’re only human. Sometimes you just can’t fight nature. 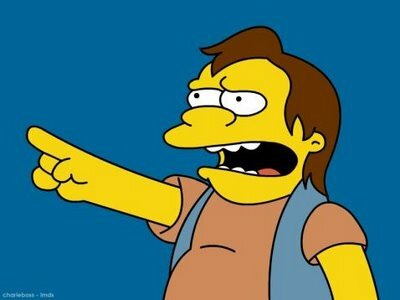 At least we’re cultured enough to feel bad about our schadenfreude. Or at least pretend that we do.